Part tasting room, part restaurant, Russian River Vineyards is the type of place you could come for lunch and a glass of wine, then suddenly find yourself looking up from your table hours later—and a couple bottles in, of course. The grounds have a tendency of putting visitors under a spell, from the fairy tale-like farmhouse built in the 1890s to the live music performed every weekend. Known for their small production merlot and pinot noir, the winery boasts a beautiful outdoor patio overlooking the vineyards, where you might see Riley the farm dog roaming around for some gratuitous petting. 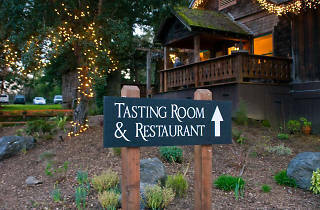 Stick around for a meal at Russian River Vineyards' restaurant, where ingredients from farmer Kayta Brady's backyard garden are transformed into chai-spiced beets, cream of mushroom soup or the namesake Kayta's Hand Salad, all of which pair perfectly with winemaker Giovanni Balistreri's unique varietals. 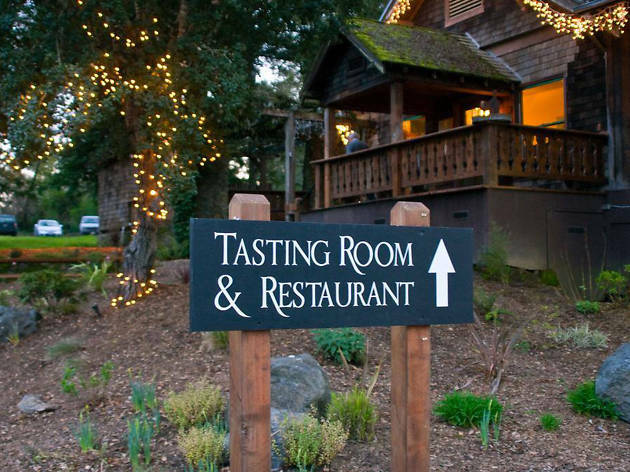 How to visit: Russian River Vineyards is open every day except Wednesday from noon to 8pm. A five-wine tasting flight costs $15 (waved with any bottle purchase); food can be purchased at the restaurant. No appointment necessary.